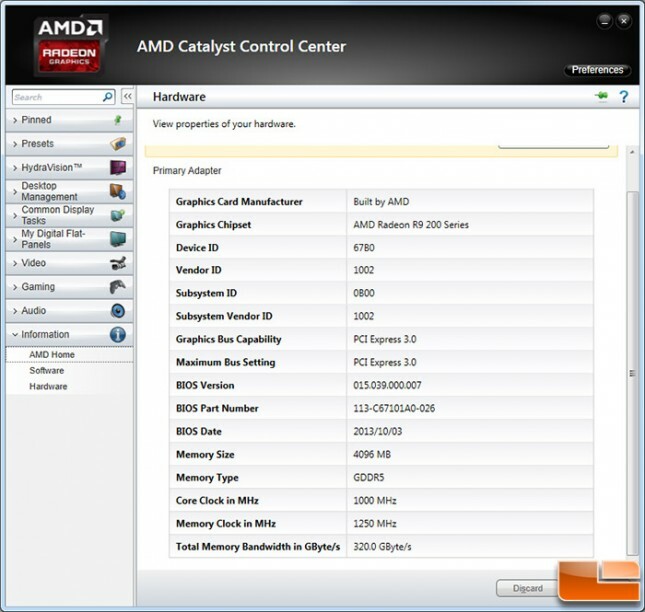 AMD Radeon R9 290X Press Sample Versus Retail - Page 3 of 3 - Legit ReviewsR9 290X - How Important is the BIOS? Jump To: Page 1: What is Causing The Radeon R9 290X Frequency Variance Issue Page 2: R9 290X - Heat Kills Clock Frequency Page 3: R9 290X - How Important is the BIOS? 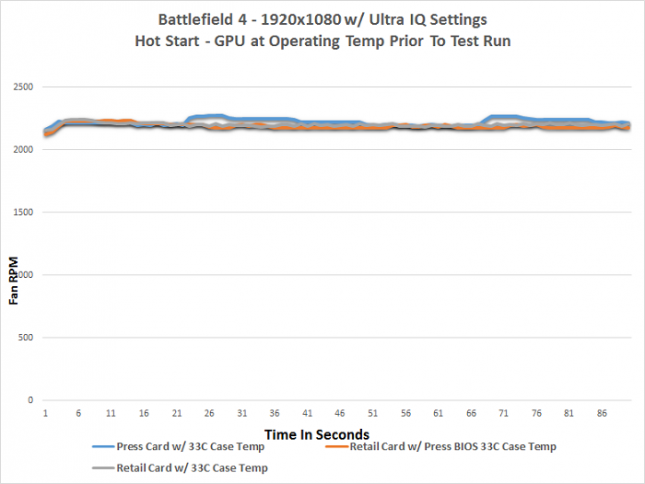 R9 290X – How Important is the BIOS? We wanted to see if there was a difference in the BIOS version between cards, so we used ATIWinFlash v2.6.6 and saved the ‘Quiet’ BIOS from the press card with the intention of putting it onto the retail card. The retail card came with BIOS version 015.039.000.007 and BIOS part number 113-C6710100-102. Our press card had an identical BIOS version, but the part number was different. We were able to save the ROM from the press card and program the image onto the retail card without any issues. After a restart we noticed the BIOS part number was now 113-C67101A0-026 on the retail card, which is what we had on our press sample from AMD. 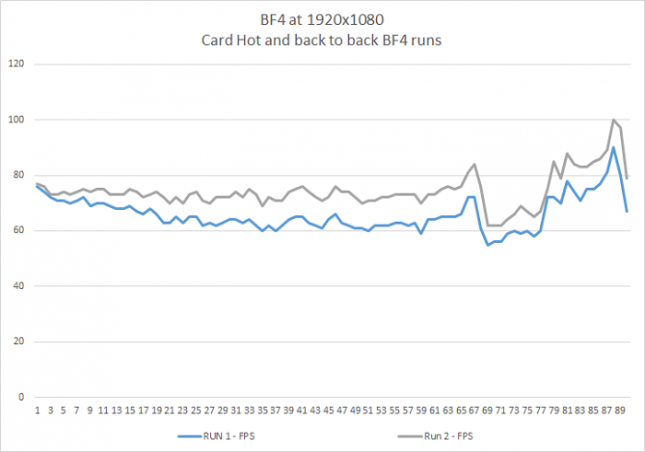 We quickly noticed that the BIOS on the press card might have been dated the same and had the same version number, but it significantly changed the performance of the card in our worst case test scenario. 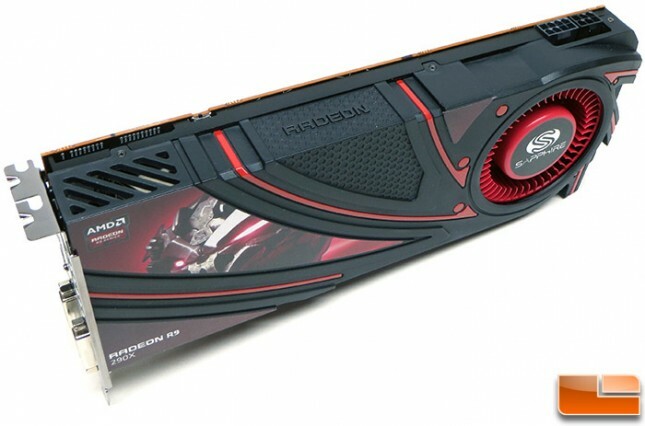 The original AMD Radeon R9 290X averaged 73.6 FPS and the retail card averaged 65.5 FPS. After putting the press BIOS onto the retail card we were averaging 72.5 FPS on the retail card! This puts the retail card within 1.1 FPS or 1.5% of the press sample that we were sent. AMD and NVIDIA both expect single digit variance between cards, so this is normal variance. When you take a closer look at the clock speeds you’ll see that the retail and press cards are very similar now! With the press BIOS flashed onto the retail card we discovered that it would never hit 727MHz whereas before it ran there for most of the benchmark! UPDATE 11/28/2013: We’ve had a number of people asking for fan RPM data and we went back through the logs and graphed that data for you. The logs showed the fan speeds around 43-45% most of the time with RPM around 2200 RPM across the board. As you can see there is not a huge difference between any of the runs. We aren’t testing in a thermochamber and it was 16F outside here in St. Louis when the testing was done, so there was some small differences between the runs, but nothing unlike you see in the real world. It does not look like the fan speed profiles significantly differed between cards. AMD asked us for the retail BIOS that we were using and informed us today that there is no difference between the press and retail BIOS versions and asked us to triple check our numbers. When triple checking our numbers we saw the same results and then sometimes the results were very different. The temperature in St. Louis was 45F so our our ‘hot’ case temperature started out higher than 33C and was more like 40-45C. We were shocked to see that the first run was slow and the second run was faster. This test was done on the retail card with the retail BIOS. A closer look at the data logs and you can see that AMD PowerTune was doing some funky stuff. In the chart above you can see the clock speed in the first run dropped down to 727MHz during and the fan speed was bouncing around 43-44% in the first 90 second FRAPS run. This is pretty much what we’ve seen throughout our testing and is no big deal. We then quickly reloaded and ran the benchmark again, but this time around the fan speed ramped up to 51% or 2700RPM and the clock speeds were faster. So, the GPU temperature remained at 94C in both runs, but for some reason PowerTune bumped up the fan speed in the middle of this run with the card in quiet mode. The higher fan speed allowed the clocks to be set higher and that is why the benchmark numbers improved the second time around. So, it appears that when the ambient case temperature is around 40-45C that the AMD Radeon R9 290X starts to do some odd stuff. We saw the average clock speed drop to 727MHz for extended periods of time and then the fan profile ignore the maximum default setting. The air temperature of the room or case continues to play a huge roll in how the AMD Radeon R9 290X performs. If you test the card in quiet mode in a room at 18C and then again at 40C, you’ll have two different user experiences. UPDATE 12/3/2013: Over the weekend we spent some time with the new Uber and Quiet vBIOS that AMD sent us for the Radeon R9 290X, but it appears to have lowered performance and we need to figure out what is going on with it before we do any temperature testing. For example in 3DMark Firestrike our performance went from around 9,700 to 9,500 with our open air test bench at 18C. Once again something is up and we need to find the time to figure it out. How many gamers are buying $500+ cards to run them on quiet mode in cases with poor airflow? 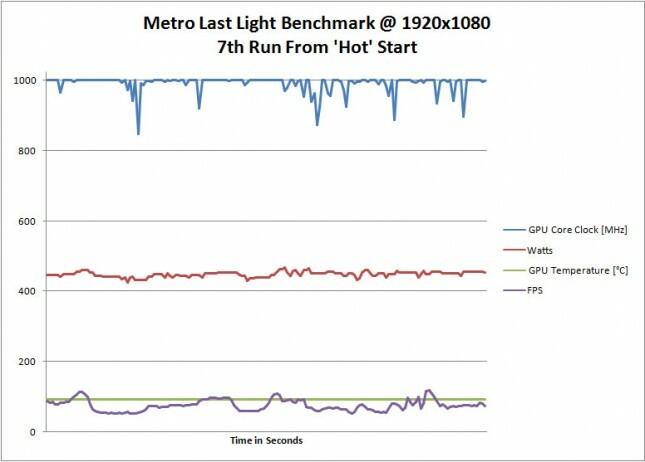 The performance on the Radeon R9 290X starts to drop in extreme heat situations, especially when run in quiet mode, but who is this really impacting so far? It’s tough to continue to focus on this issue as it is really time consuming and tough to keep the ambient temperature correct between all the test runs. After much testing we were able to find the performance difference between the press sample and the retail AMD Radeon R9 290X video cards that so many people have been talking about. 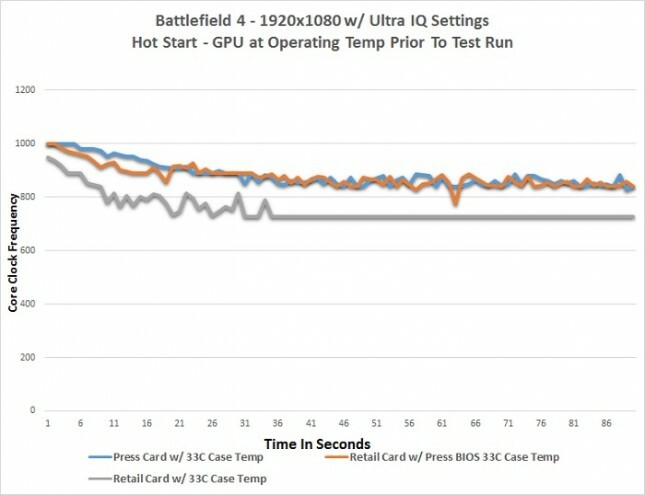 The performance on both the retail and press card was found to decrease as the ambient case temperature increased, thus confirming that temperature plays a huge roll on these cards when it comes to benchmarking.We then noticed that the BIOS versions were different on the press and retail cards. Many sites have done similar reviews to this, but none that we have seen have mentioned this difference or tried flashing the cards with the same BIOS and testing the cards again. 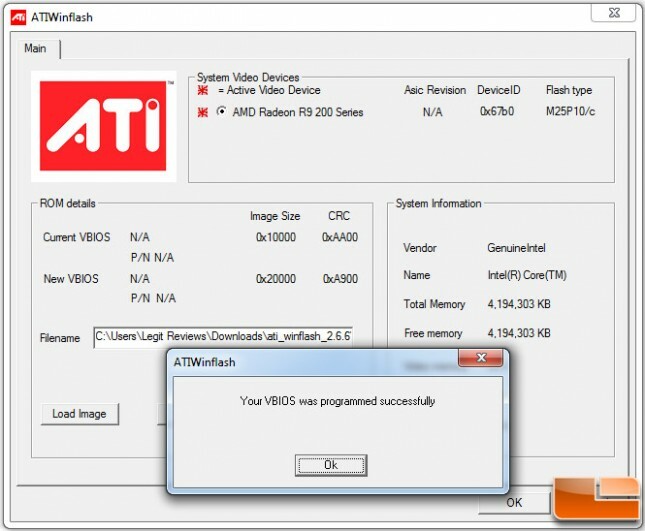 We used ATIWinflash to backup and re-program the cards BIOS and discovered that the BIOS might have something to do with this. With the ‘quiet’ mode press cards BIOS on the retail graphics card we found that the performance was nearly identical and it appears that maybe it wasn’t the card or GPU that was cherry picked, but rather the BIOS was tweaked. Our re-testing showed similar results, but we didn’t get the expected outcome 100% of the time. 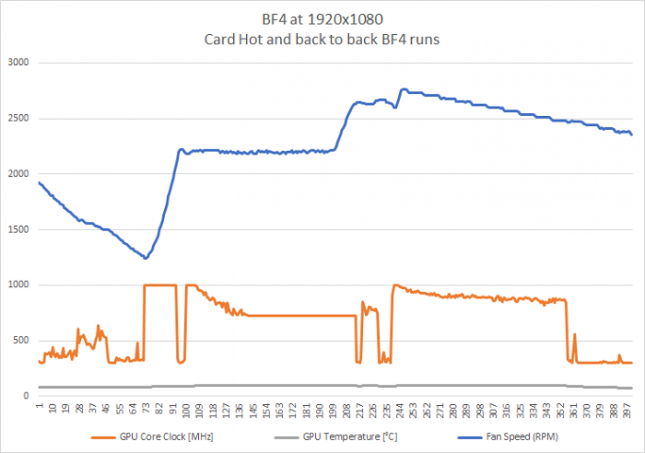 The ambient room temperature appears to play a huge roll in how the card performs and the AMD PowerTune software appears to be a bit finicky. 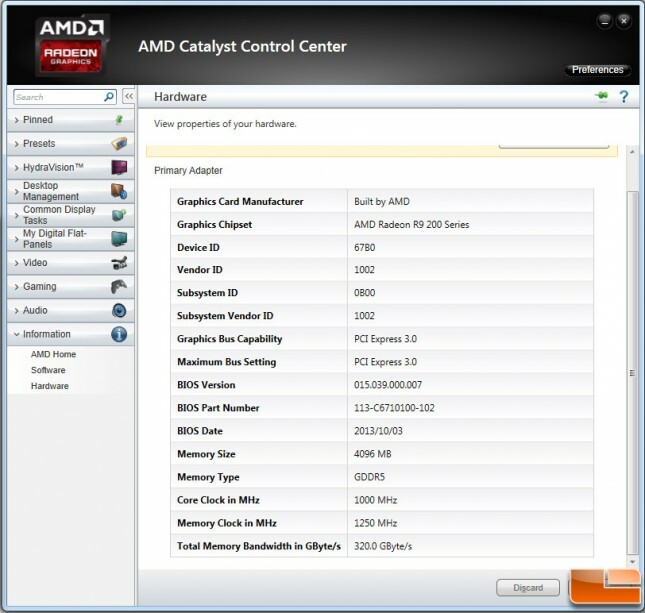 So, did AMD put a special BIOS on the press cards to influence the reviews or are the add-in board partners using an older version? We aren’t sure and will likely never know the answer to that. AMD did inform us they are working on an improved BIOS for the AMD Radeon R9 290X and we hope to get our hands on it in the near future. From our perspective there are various BIOS versions being used and it looks like the media cards are using a variant that holds the clock speeds up higher for an extended period of time and the clock speeds also don’t drop as low. It should be noted that this performance variance is really only significant in quiet mode as that is when the new AMD PowerTune technology is busy trying to keep the card quiet. On another note… We recently purchased a new power meter that is able to capture and record data logs and found that the power consumption rises over time and follows almost the same linear path as temperature from a cold start.The power consumption of these new dynamic cards needs to be taken in a hot test scenario as it often takes 5-10 minutes to fully heat everything up. 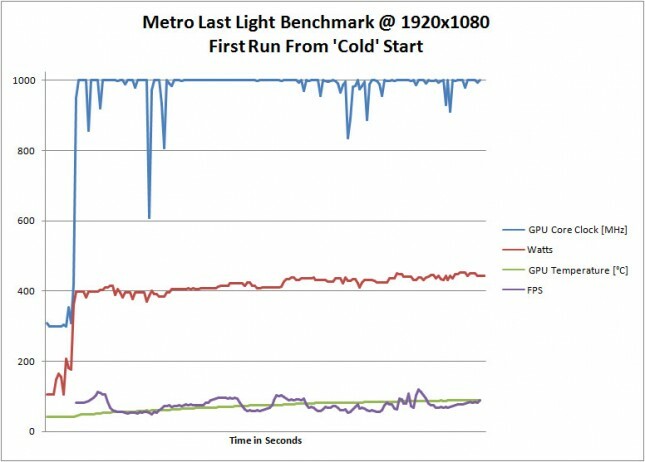 Below you will find a few runs of Metro: Last Light on the AMD Radeon R9 290X press card. 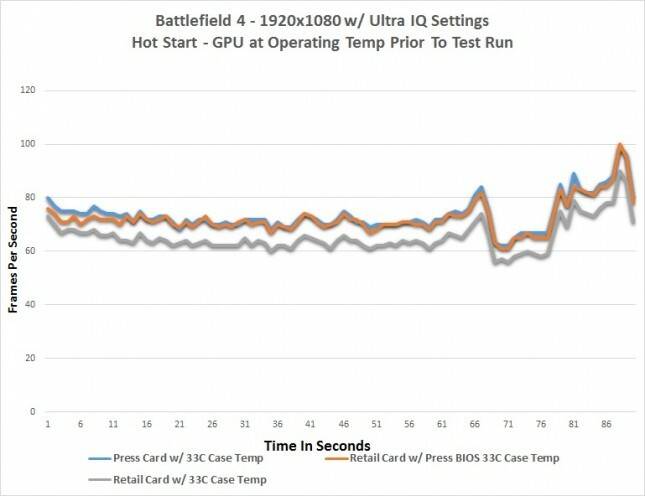 These charts are fairly interesting as they show Core Clock, Temperature, Watts and FPS over a three minute time period. The first chart is from a cold start and then again after running for over 20 minutes. The average FPS was 75.0 on the first and last run, but you can see the power difference between the runs.